Until November 24 2016, an exhibition from the Charlie Higson Archive, ‘Making Bond’ is available in the foyer of the University of East Anglia’s (UEA) Library. Below the curator, Matt Woodcock, a Senior Lecturer at UEA, introduces the material. The archive exhibition was the basis of his interview with Charlie Higson at UEA on 16 September which can be viewed from the link below. ‘How do you go about making a James Bond novel, and re-imagine Ian Fleming’s, at times controversial hero for a young adult audience? The materials in the Charlie Higson Archive offer a valuable insight into this process. This exhibit presents different stages of the making of Higson’s Young Bond series, starting with the background research undertaken in order to place the hero into historical and geographically accurate contexts. We then see various stages of authorial revisions from the 2005 Young Bond book SilverFin, and look behind the scenes of Higson’s characters and narrative voice taking shape. The Higson archive also contains a record of editorial and reader feedback on the series. We can see here what the author’s editors made of early drafts, and how a selection of young readers responded to SilverFin once published. The Archive of Alan Hunter (1922-2005) was generously gifted to UEA by his daughter Helen in 2015. Hunter was the author of a series of crime novels featuring Inspector George Gently. Typically each archive collection arrives with its own set of interesting nuances, challenges and surprises and Hunter’s archive was no exception. A vast array of dusty folders and boxes arrived in need of attention and a thorough sort. There was also a heavy wooden chest. Hunter’s writing process was methodical, his hand-writing meticulous and his scripts well organised in labelled boxes. While he is most well-known for his Inspector George Gently novels, Hunter was also a keen writer of poetry and drama. In 1945 at the age of 23 he published a poetry collection The Norwich Poems. His archive contains these and many unpublished poems, dramas, screenplays and short stories. The oldest item amongst his papers is a short story The Crime Without a Clue. This eight page manuscript was completed at precisely 11.40 pm on 31 October 1935. Hunter would have been 13 years old when he created the characters of Detective Grant and his assistant who must solve the baffling circumstances surrounding the death of Sir Harry Fenton, killed by his own pistol fired from the sideboard, by apparently no one. In a preface written by Hunter in 1963 he explains his earlier attempt in 1953 to publish some short stories. They were not sold and in disgust he turned to writing his first crime novel Gently Does It. On returning from a holiday in Wales and after ascending the Wyddfa (Snowdon), he found that his manuscript of Gently Does It had also been rejected by a number of publishers. One blunt rejection referred to Gently’s personality not coming across, and that just to give him the trade mark of eating peppermint creams was not nearly enough. He resolved to write for his own pleasure and From the Summit was written, in a degree of elation. Meanwhile his crime novel Gently Does It reached Cassell where it found acceptance. Thus began the Inspector George Gently series of novels in 1955. Writing in a caravanette, Hunter favoured jumpers and tweed jackets and smoked a pipe; he bore a close resemblance to Inspector George Gently himself. Included in his archive are a couple of rejected Gently manuscripts: Millionaires are Murder (1957) and Nothing Holy (1969); and the expected plethora of unidentified manuscripts and fragments of writing. Despite Hunter’s good organisation there are the inevitable areas where things appear less clear. Creative writing implies a process of branching out, of going back and forth, of re-visiting, and re-developing ideas. This doesn’t lend itself to precise order nor would we want to impose such an artificial structure. Instead, the Archive’s guide to the papers makes users aware of possible connections within the collection by a number of cross-references. We have assigned numbers to all items, making it so much easier to keep track of and identify the many manuscripts and pieces of paper. The sorting of the papers was tricky as same characters and lines often popped up in different titles therefore making it difficult to say with certainty which script belonged to which work. For instance, Lachlan Stogumber appears in the unpublished manuscript of Nothing Holy (1969) and a couple of years later in the published work of Gently at a Gallop (1971). The line ‘There’s many an airman just finishing his time’ crops up in two unpublished novels: Just Finishing His Time (1956) and Strange Testament (1957). Some rejected novels resurfaced, sometimes more than 10 years later, with a different title and significant changes: in 1961 Hunter went back to his 1953 unpublished novel From the Summit and borrowed from it for Gently to the Summit. Ideas sketched in notebooks and early stories were taken up years later. Thus there is not always a clear correlation between the drafts and final publications. There is evidence of him re-submitting his writing to publishers many years after the original submission; or re-working something like La Paloma, which began as a story but which was then re-written as a play. Detective skills are indeed needed to make the links and match up the various drafts. There are plenty of connections still to be made and the expectation is that keen future users of the collection will discover for themselves the evolution of Hunter’s writing. The notebooks are gems, filled with musings, sketches, character descriptions and detailed plots were Hunter makes his suppositions. He writes of his struggles in coming up with a setting. There are days when Hunter has no inspiration at all. And then there are days when, in his seventies, his hand aches and pen after pen fails to alleviate the frustration. As he is writing Bomber’s Moon in 1994 he wonders if he wants to devise another book. Hunter completed his 46th and last Gently novel at the age of 77. 1 Notebook entry, 24/10/94 (AH/14/23). 2 Notebook entry, 30/10/87 (AH/1/36/1). 3 Notebook entry, 31/1/80 (AH/1/27/1). 4 Notebook entry, 16/5/94 (AH/14/21). Ticketholders for Charlie Higson and Ian Rankin at Noirwich: The Crime Writing Festival enjoy a preview of an exhibition on the Alan Hunter Archive (16 September, UEA). The exhibition then moves to UEA Library from 20 September 2016. 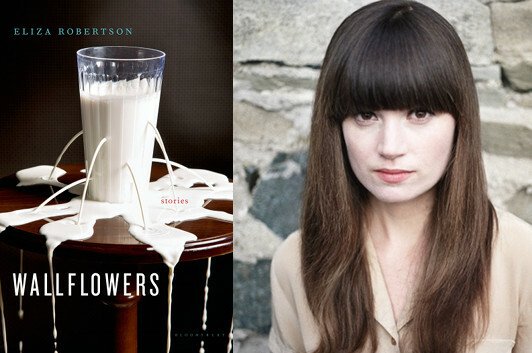 What is a literary archive, anyway? What is a literary archive? Students of this year’s MA in Creative Writing (Prose Fiction) attended a session in the British Archive for Contemporary Writing to look through some of our literary collections. 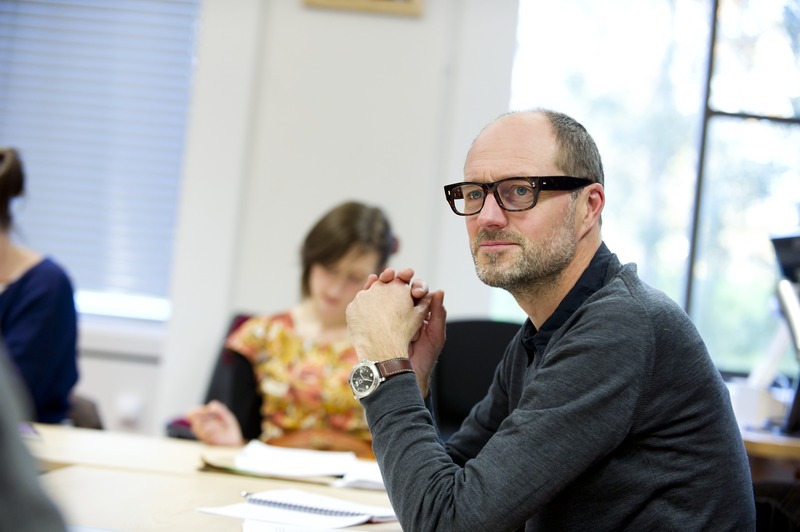 MA Creative Writing dissertations were deposited at the University of East Anglia as part of Malcolm Bradbury’s archive and include the authors John Boyne, Tracey Chevalier, Anne Enright and Andrew Cowan. There are also files charting the history of the emergence of UEA’s MA. 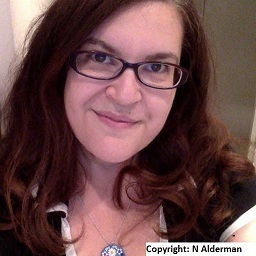 Naomi Alderman’s archive includes the annotated workshop scripts from her entire MA year and shows the transformation of her first novel, Disobedience, under the influence of students and tutors. We also exhibited diaries and writers notebooks from Amit Chaudhuri, Roger Deakin and Snoo Wilson showing how ideas evolve in the earliest stages. We discussed the nature of the literary archive in the digital age and the challenges of curating a creative process when it exists in purely digital form. A number of the students still write in longhand while others work exclusively on the screen. 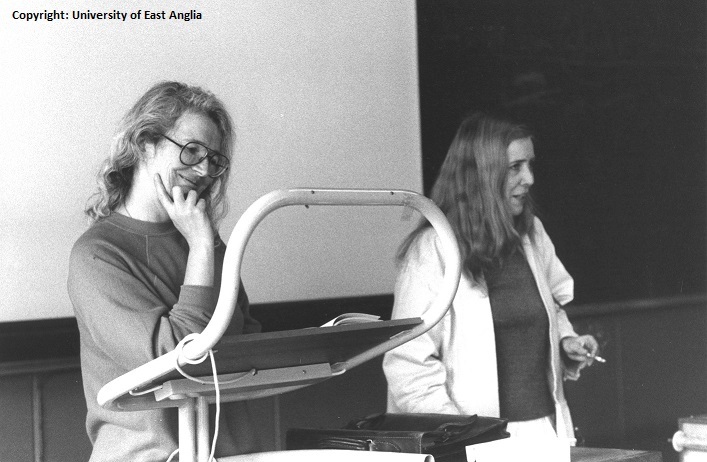 UEA, along with other literary archives, are grappling with how to capture and present access. This was an opportunity to instil useful working practices and to raise awareness of the importance of retaining certain papers and correspondence. This is the title of a one-act play by J.M. Barrie (1860-1937), an epilogue to the stage play Peter Pan. 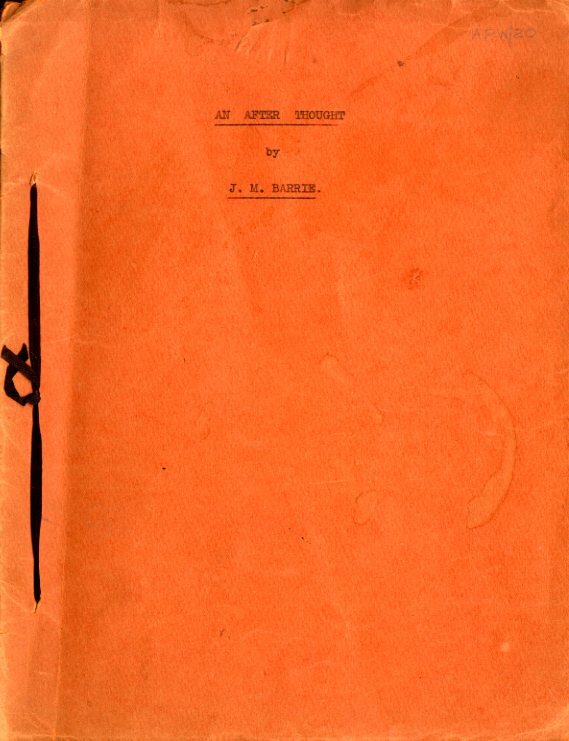 The typescript is dated March 1908 yet the epilogue is said to have been performed on the closing night of the play’s performance, 22 Feb 1908. It was written by Barrie to explain what became of Peter and Wendy. The scene shows a youthful Peter dropping in to see Wendy (who is now grown up with a daughter, Jane). While Wendy and Nana (the dog) have aged, Peter is unchanged. He has a sort of amnesia, forgetting he killed Captain Hook and thinking he saw Wendy only the day before. He describes his exact feelings for her as “those of a devoted son”. As only the ‘young and innocent’ can fly, Peter recruits Jane and asks her to be his mother. She agrees despite having only a child’s conception of motherhood. Together they fly off to do their ‘Spring cleaning’ in Never Never Land. Wendy’s lasting wish is that her daughter will one day have a daughter who may also be visited by Peter, and fly away with him in turn – “and in this way may I go on for ever and ever dear Nana, so long as children are young and innocent”. The dedication is to Hilda Trevelyan (1877-1959), the actress who created the role of Wendy in Peter Pan. The script may be examined in the Archives.